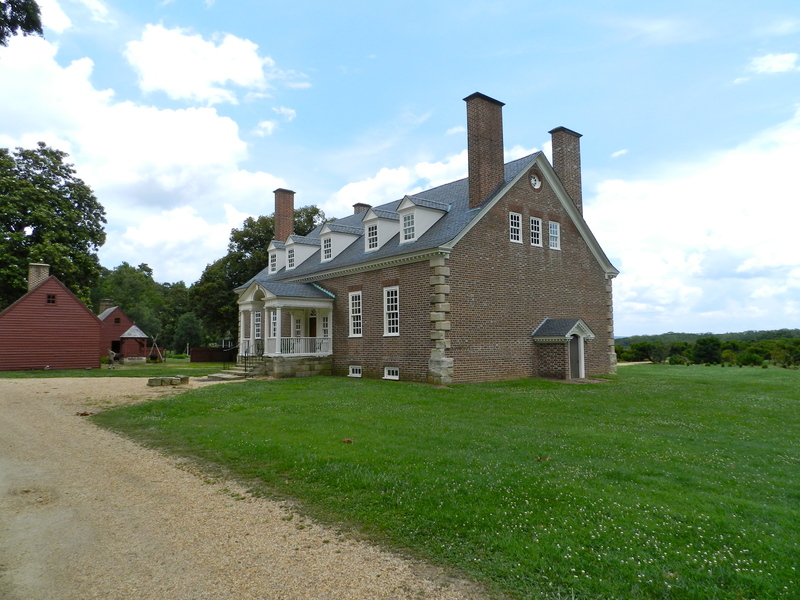 The plantation sits on what became known as ‘Mason’s Neck’ in Northern Virginia on the Potomac River. 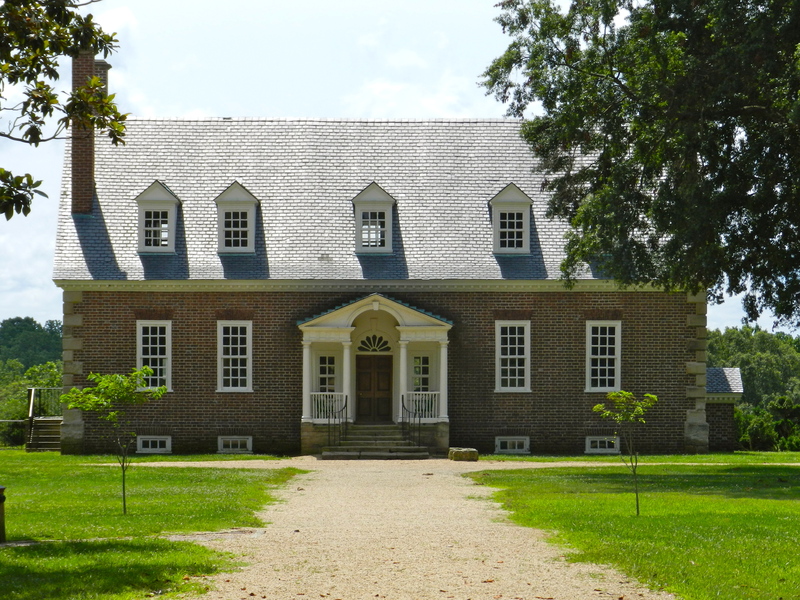 This handsome brick home was under construction from 1755-1759 and was a formidable mansion in its day. The exterior is brick with distinctive quoins in the the four exterior corners exude a sense of permanence and have helped the home outlast most of it’s contemporary wood clad buildings. The detailed interiors were designed by a young William Buckland who went on to design the interiors of other famous homes including the Hammond-Harwood House, Mount Airy (Richmond, VA), and the Prince William County Courthouse. Obligatory tourist picture of me standing in the kitchen yard. 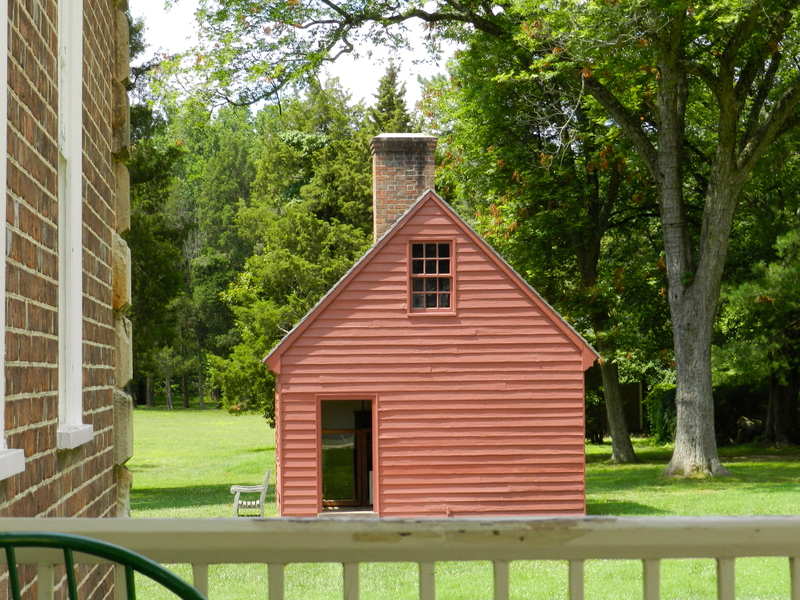 Schoolhouse as viewed from front portico of the main house. Unfortunately the museum does not allow photography inside the mansion, so you will have to take my word for it, but the interior details and carvings are exquisite — from the fretwork in the yellow ochre dining room which imparts a very asian feel, to the gilded rococo baufats and carved egg and dart details on the doors and mantel in the ‘Paladian room’. From what little remains of Buckland and Sears’ original work you can see what gifted craftsmen they were. 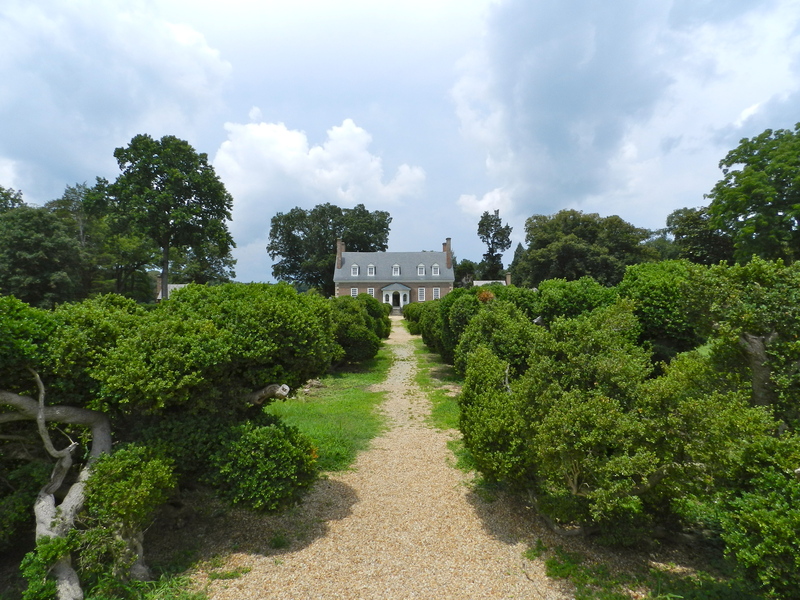 On the rear or riverside of the home you will see the allee of boxwoods that date back to the time of George Mason and may be the last extant example of a once imported Boxwood species no longer found in England. The rear porch was also quite distinctive with it’s Gothic arches. 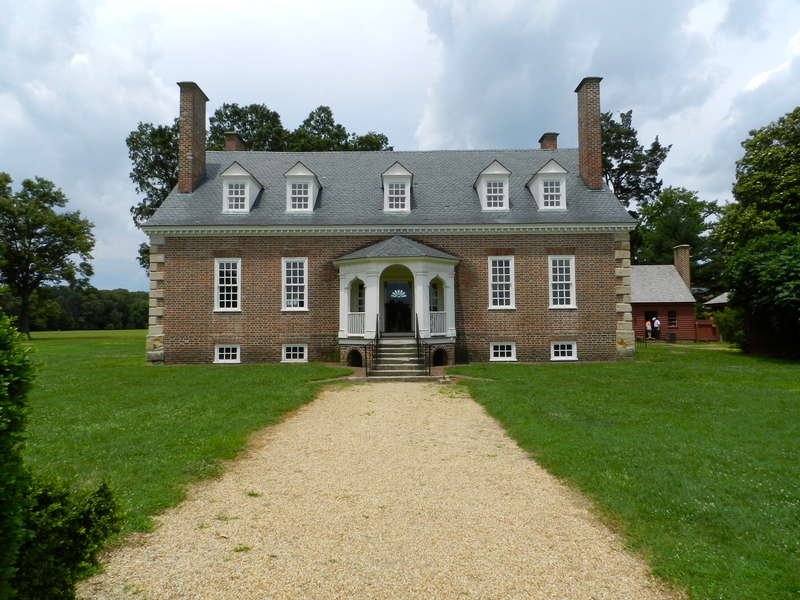 If you are interested in architecture, woodwork, wood carving or early American history I highly recommend a visit to Gunston Hall. 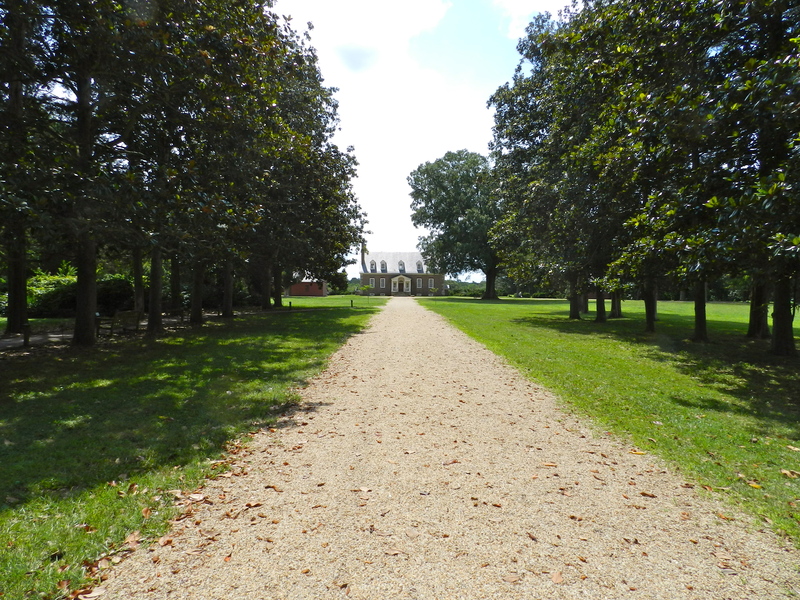 It takes about half day to see it all and explore the grounds and outbuildings. 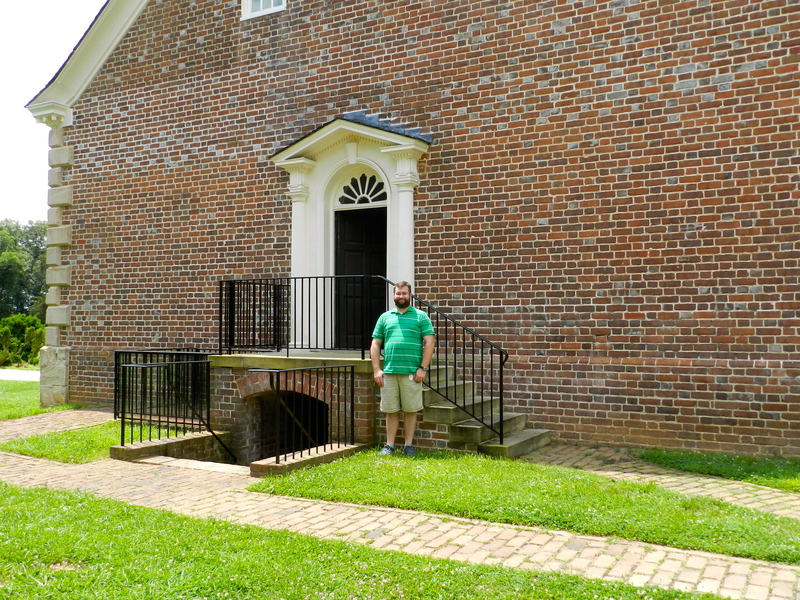 You can learn more about this historic site here.